The Force is not strong in this one. Lucasfilm has opposed the trademark registration application of seller of homemade jewelry named “Princess Leah’s Designs” giving another example of why people should not just file their own trademarks without the use of an attorney. Oh people think that being a lawyer is so easy. You wouldn’t perform your own brain surgery and, while not as complicated, you probably shouldn’t file for your own trademark registration either. This case is an example of that. 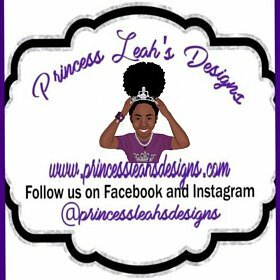 “Princess Leah’s Designs” is at Etsy seller that creates custom jewelry based off some NFL teams colors and some other more infringing designs. This seller gives us a little what not to do when filing your own trademark registration application. Princess Leah’s is selling a fair amount of counterfeit goods that bear the unauthorized reproduction of many major companies copyrights and trademarks. This is a big no no. Not only can it get you sued for counterfeiting but it is a criminal act. Princess Leah’s did a good thing here and formed a company, Princess Leah’s Designs LLC. Buuuut, when filing the trademark registration application, the owner of the mark was listed as an individual and not the company itself. Couple things, either the company or the individual owns exclusive rights to the mark, not both. Second, it’s always best to register a mark in the name of a company. While it is not a full-proof way to avoid a lawsuit against you personally, it does help. When you file a trademark application, you swear that it contains all accurate information. In fact, if you knowingly lie to the Trademark Office this is actionable as fraud. Even if you don’t lie, fact check. For example, on Princess Leah’s storefront, it says the mark was first use in 2009 and on the trademark application is says 2010. Small things but be accurate. 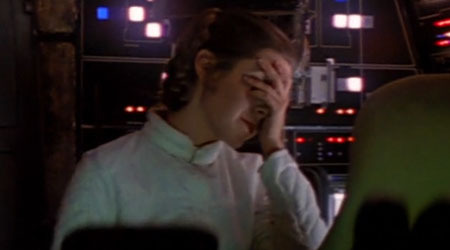 There is a registered trademark for PRINCESS LEIA, to get a mark through that is this famous, that has the same sound impression was always going to be hard. LEIA and LEAH when spoken aloud sound almost exactly the same, spelling does not change a thing. A trademark search would have come up with this and I, for one, one have advised the client to not move forward. Big companies watch the Trademark Office filings and just wait to oppose marks that are potentially confusingly similar to theirs. There is very little chance you will be able to sneak one through. When you get on a company’s radar, not only could they oppose your mark but you could get sued for trademark infringement. While always evil, lawyers could have made a big difference here. Any errors on the registration would have been cured and probably the mark would not have even been filed. Princess Leah’s Designs must decide if it will fight the opposition or walk away from this application. I say don’t walk, run.